Former NBA Superstar Slick Watts gives 2 thumbs up to Seattle’s Top Window Cleaning Company, GHB Window Cleaning Inc., a maintenance company megastar. On the rise window cleaning company in Seattle WA, gets momentum from former NBA superstar Slick Watts. GHB Window Cleaning (http://ghbwindowcleaning.com) gets a slam dunk endorsement from Seattle’s longtime favorite hard wood player in a local cable commercial scheduled to begin airing during March madness. With their affordable quality window cleaning services, GHB window cleaning was ‘clearly the right choice’ for Slick Watts. The commercial is just the beginning for the local Seattle Maintenance Service Company. In a brief statement from CEO, George Brewer, he is excited to reveal, “With the quality of service we bring to the table, we know that this endorsement is the first of many... be on the lookout for more commercials from our satisfied customers.” He also wanted to include that window cleaning is just one of the several services they provide. Gutter cleaning, pressure washing and roof cleaning are but a foretaste of the multi-faceted company. With three divisions that include Commercial Exterior Building Services & Fall Protection Safety plus Education, GHB Window Cleaning Inc., is surely winner. 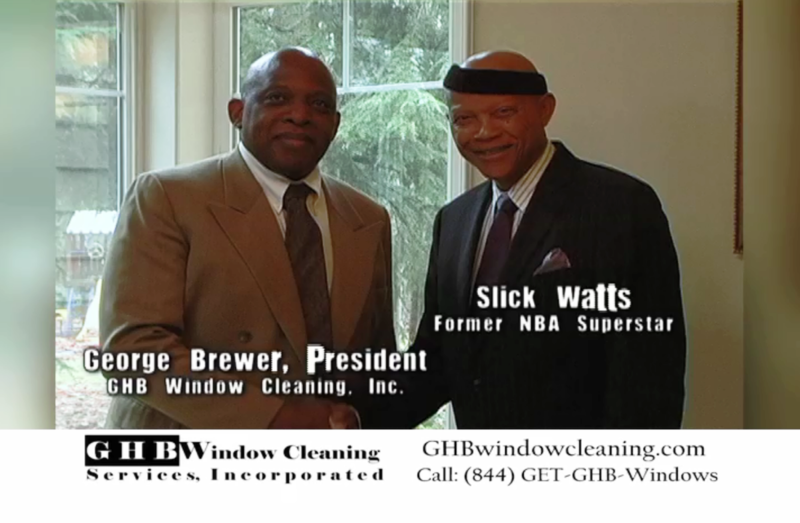 NBA Seattle Superstar Slick Watts & GHB Window Cleaning Inc.